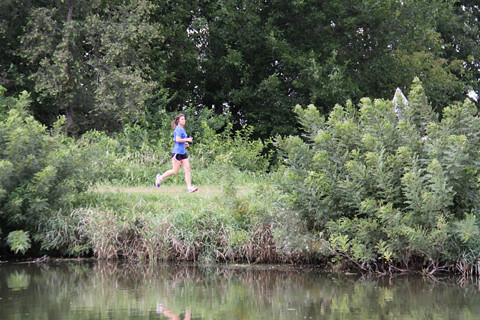 I was lucky enough to review yet another great sports bra. Let’s get right to it since this was a great one. Fabric – The fabric itself is incredibly soft. The bra as a whole, is very comfortable. Even though I’m not picky about the color and doesn’t affect any part of the review, this particular blue is very pretty. I have to say, when you see it on…it doesn’t look like it’s very comfortable. But I can assure you, it really is ! Some links may contain an affiliate link where I may make a very small profit at no additional cost to you. 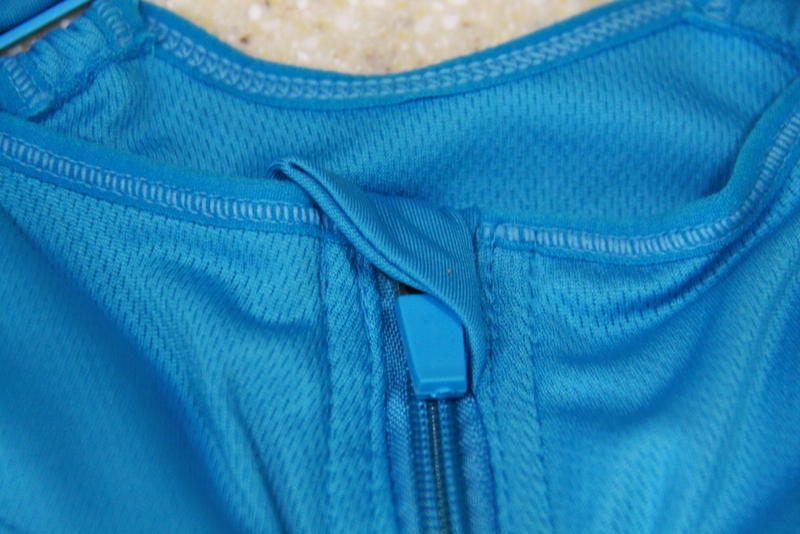 Zip – First and foremost, a front zip or front hook is the best invention ever. Trying to get a hookless stretch only bra off a sweaty exhausted body could become lethal. 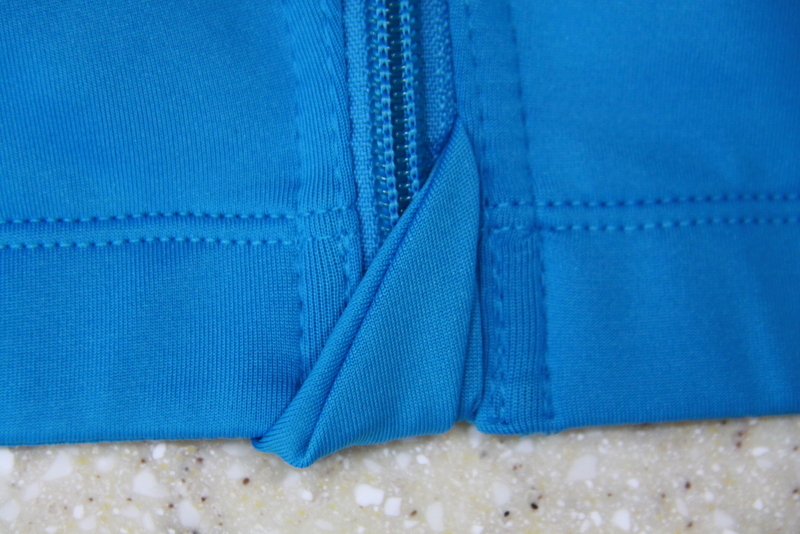 The two little fabric flaps that go over the top and bottom of the zipper was great, prevented any rubbing or digging in. “Other bra” fit problem I have – Some I’ve had, I want it off right after the workout because of the way they ‘squeeze’, makes my chest feel tight like you can’t get a full breath, but the cup size is good. If you get a looser chest fit, the cup size naturally goes up as well, then the girls are not being kept in place. I was proved wrong with this bra. Size & Fit – It was recommended to order a size up, as this one fits smaller. I was leery of doing this, because of what I just explained about the chest/cup ratio problem. In other reviews, the women’s cup sizes were much larger than mine. I am a 36B, and normally wear a Medium in everything. I decided to take the advice and order the Large. Glad I did !! My size was at the top of the Medium. When I first tried this on, around my chest felt great. Snug, but not too much. Much to my surprise, the girls fit in the cups perfect. Apparently this one will fit and adjust to small, medium and larger breasted women. It’s like “The Smart Bra”. I was so pleasantly surprised. It makes them look more ‘squished’ than a lot of sports bras. Which at first I didn’t like. I like them to be form fitted, rounded and look good as well. But it was still very comfortable and held the girls in place perfectly. And I never wear a sports bra alone, I always have a tank over it. So no big deal really. There was a stitching line right across the cups, that I thought might show through shirts & tanks, which I would not have liked. But the stitching or sew line does not show through at all. The racer back part of it, fit perfectly between my shoulder blades. Workout – during a running and cardio workout, I loved the bra. The material is pretty far away from the armpit area, so there was nothing bothersome there. The girls stayed in place perfectly.The shoulder straps and racer back were comfortable for all exercise. You can definitely wear this throughout the day if needed. It’s formed and cut perfectly all around the arms, shoulders and armpits. Overall this is one of the best sports bras I’ve worn.